Nets rarely catch just one kind of fish. When we talk about local food in New Hampshire, most of us think of fruits and vegetables. But with our 18 miles of coastline, seafood has the potential to be a local food as well. This year’s big cuts to catch limits for fish like cod and haddock herald a rough year for New Hampshire ground fishermen. So they’re finding new ways to connect with local consumers to help them stay afloat. And their approach may be the first of its kind. Most of us have grown familiar with the term CSA—Community Supported Agriculture—where people pay a local farmer up front for fresh produce deliveries. 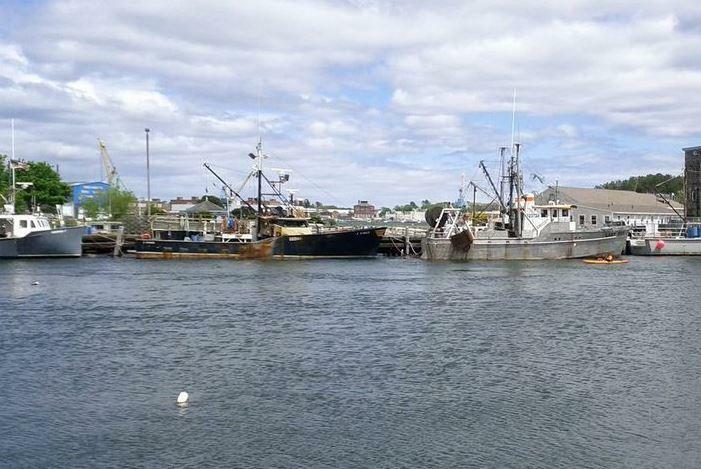 Now, the state’s 14 remaining ground fish boats are teaming up to do the same thing with fish. 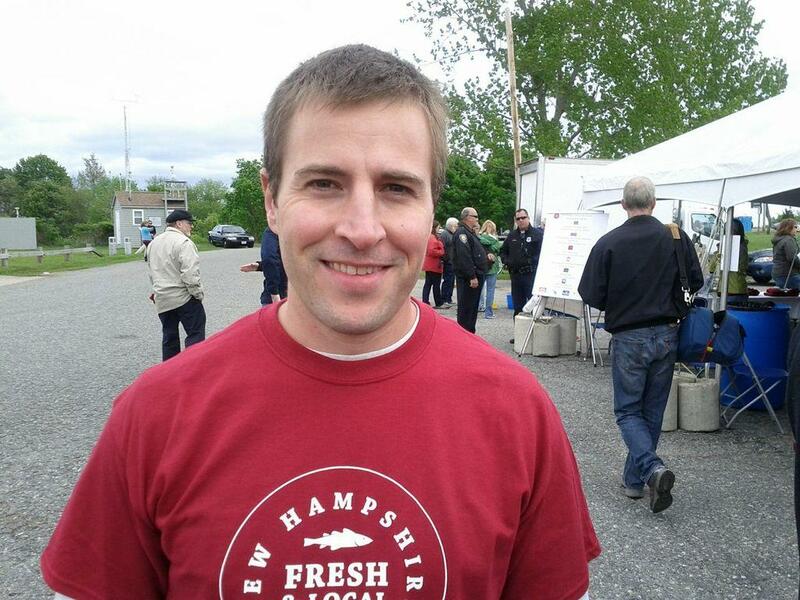 Joshua Wiersma is the co-founder of the New Hampshire Community Supported Fishery, or CSF, called NH Community Seafood. Alongside that is a marketing campaign called New Hampshire Fresh and Local Seafood which is spearheaded by the UNH Cooperative Extension and New Hampshire Sea Grant. “In an effort to survive, what we’d like to do is expose the consumer to these products that they don’t necessarily get a chance to sample,” Wiersma says. At a recent event in Portsmouth kicking off this year’s fishing season, Wiersma, who’s also New Hampshire’s sector (read voluntary Federally-administered cooperative) manager with the National Marine Fishery Service, says the solution to crippling Federal catch limits is to market other, less regulated types of fish to Granite Staters. There are about 16 types of ground fish in the Gulf of Maine, many that are in abundance, but only about three or four types of ground fish end up on local menus. About 225 people showed up at the event to try many of those less-known fish prepared by local chefs. “We’d like to offer our fish first to New Hampshire consumers, before it goes to the global markets,” says Wiersma. 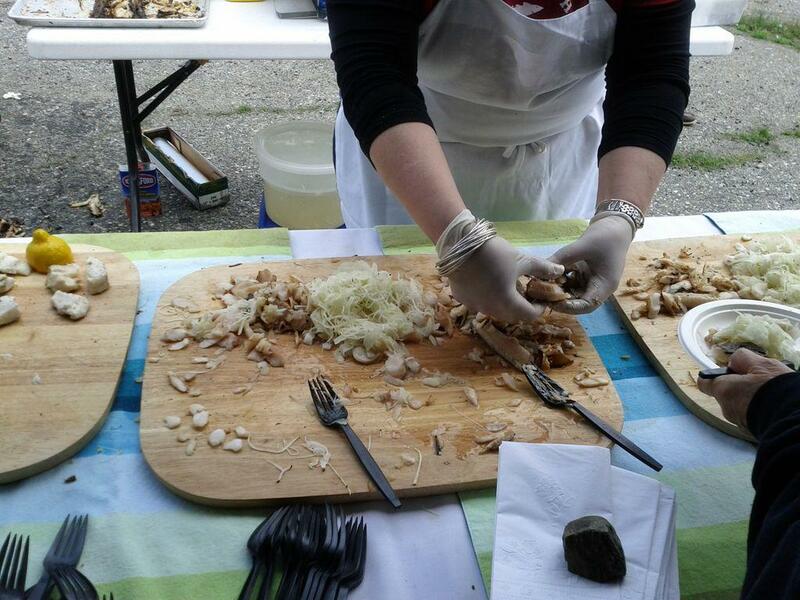 Volunteer chef Vicky Nawoichyk prepares pollock and silver hake at the kickoff event in Portsmouth. 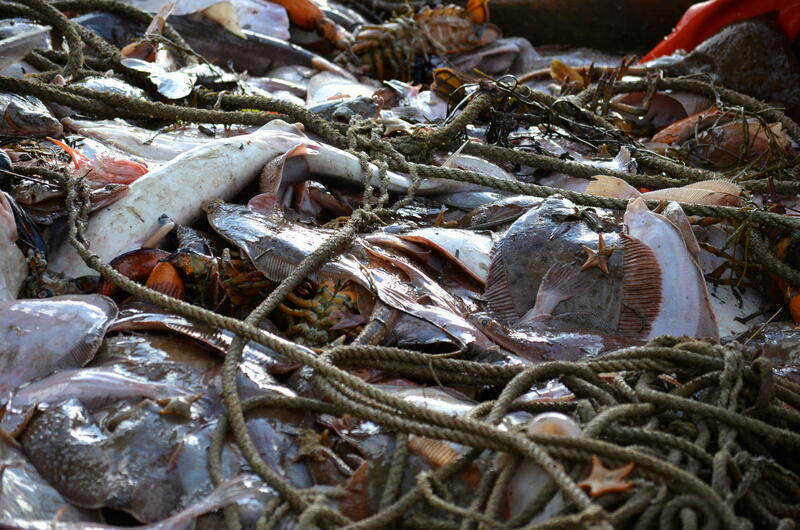 Right now, most of the fish eaten in the state comes from outside our borders. Kelly Cullen is a UNH professor in the Department of Natural Resources and the Environment. Cullen thinks it has to do with cultural stigmas and a lack of exposure to fish stock less traditional to the American diet. Fish like silver hake, dogfish, pollock and redfish are found in abundance in the Gulf of Maine. And they do not have severe catch limits like the ones facing cod, flounder or haddock. The money from the preordered fish will help fishermen by softening the hard edges of an otherwise unpredictable global market with volatile price fluctuations. Not only would local fishermen make more money if local food shoppers asked for those other kinds of fish, says Cullen, but the regional economy would improve overall. Shareholders in the CSF will also have opportunities to meet the fishermen who catch their fish. To help create that local seafood pipeline, the New Hampshire CSF will be unique. It offers a share of stock for one hundred dollars. Stockholders will have a yearly payout if there’s a surplus and a consumer vote on the board of directors. The idea is to attract and retain more members. People are able to buy a $200 share for two pounds of fish filets every week for eight weeks. There’s even a discounted rate for whole fish of comparable weight. For the first year, the CSF will transport the local fish to six drop-off locations in Portsmouth, Rye, Dover, Durham, Tilton and Manchester. Nearly 100 people have already signed up and they’re hoping to get to 200 before the season begins June 10th. In the future they hope to increase the number of drop-off locations and expand the selection to include more shellfish. There may even be an option for local restaurants to buy a bulk share for featured dishes. One of the major challenges of creating a local fish market is the absence of fish processors in the state. NH Community Seafood is partnering with the only de facto processor and distributor, Seaport Fish in Rye, to cut and prepare most of the fish filets. But they hope an increase in local interest will eventually attract more fish processors to New Hampshire, which will go a long way towards creating the distribution infrastructure needed for a large-scale local fish market. Past attempts at creating CSFs in the state began in 2009 with a single boat. Then, in 2010, the Yankee Fisherman’s Cooperative had a go at a CSF in Seabrook which folded last year.